A few years ago, if you wanted great camera hardware, you had to spend around Rs 30,000 at the least. But how things have changed lately. Manufacturers have started to equip their budget handsets with powerful cameras that allow buyers to capture quality photos and videos. At times, it’s almost astounding to look at these photos and realise that they have been clicked by an affordable phone. So if you’re someone who has that kind of a budget, and still wants excellent camera performance, here’s a list of the top cameras phones under Rs 15,000. No handset has been able to dethrone phones from the Redmi Note series as the best handset in the budget category. Naturally then, the latest offering in the series brings a lot in the camera department. It has been equipped with a dual-camera system consisting of a 12MP sensor and a 5MP secondary shooter. Its Dual Pixel autofocus feature lets you capture your moments in great detail. And then there are several AI features present as well. On the front of this phone, you’ll find a 20MP + 2MP dual camera setup, which excels at capturing portrait selfies. The rest of the specifications of the Note 6 Pro are impressive too, with a 6.26-inch full HD+ display, Qualcomm’s Snapdragon 636 SoC, 4GB / 6GB RAM and a 4,000mAh battery. The Realme 2 Pro happens to deliver tremendous value for your money. Its camera includes the combination of a 16MP main sensor and a 2MP secondary one. The former comes with an f/1.7 lens, which is great for low-light photography. Dual Pixel autofocus, AI scene recognition and EIS-based video recording are some of the other highlights of this dual camera system. Its front camera on the other hand, is a 16MP unit which too has been blessed with numerous AI traits. The Realme 2 Pro is also one of the very few offerings in this segment to come with a teardrop notch and the Snapdragon 660 chipset. 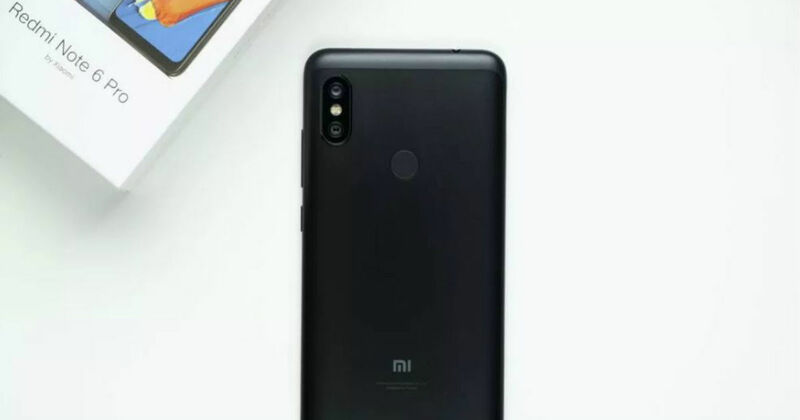 The Xiaomi Mi A2 is meant for Android purists who prefer the stock experience over heavily-loaded ROMs like MIUI. This Android One smartphone ships with a pair of excellent cameras, both of which carry f/1.8 aperture lenses. While the primary snapper is a 12MP unit, it’s paired with a 20MP sensor, which helps in getting excellent portrait effects. The Mi A2’s cameras are great in low light conditions thanks to the large pixel size of these cameras and the use of pixel binning technology. At the front of this device is a 20MP shooter, which captures brilliant selfies. The other specs of the handset include a 5.99-inch FHD+ display, Snapdragon 660 processor. 4GB / 6GB RAM and a 3,000mAh cell. The Honor 8X is a phone that marries style with functionality. This beautiful device has been blessed with a 20MP f/1.8 main camera that sits beside a 2MP depth sensor. This allows the phone to offer great portrait shots, while the various AI features ensure that there’s much more to be harnessed from these cameras. Sitting inside the notch of this phone is a 16MP selfie camera, which comes with lighting effects pre-installed. And of course, there’s a software-based portrait mode present here as well. The 6.5-incher boasts 12nm Kirin 710 chipset, which works alongside 4GB / 6GB RAM. The device is juiced up by a beefy 3,750mAh pack. Anyone who listens to the price of the Asus ZenFone Max Pro M2 for the first time is stunned. Here’s a phone with a 5,000mAh battery, a full-screen notch-toting display, Qualcomm’s powerful Snapdragon 660 CPU and a dual-camera system, that costs just Rs 12,999. On its back, you’ll find a 12MP f/1.8 shooter bearing large pixels, which is assisted by a 5MP unit for offering the portrait mode. 4K video support, AI-based features and EIS have made their way into this ZenFone device as well. As for the front camera, it’s a 13MP unit, which sits beside a softlight flash that doesn’t spoil your selfies with harsh light. You can rest assured that all of the aforementioned phones will provide you with great cameras, and that too, at prices that won’t need you to break the bank to acquire them.